Hand beaded detail CUSTOM Lee Grebenau Wedding Gown - ONE OF ITS KIND, cannot find anywhere else. 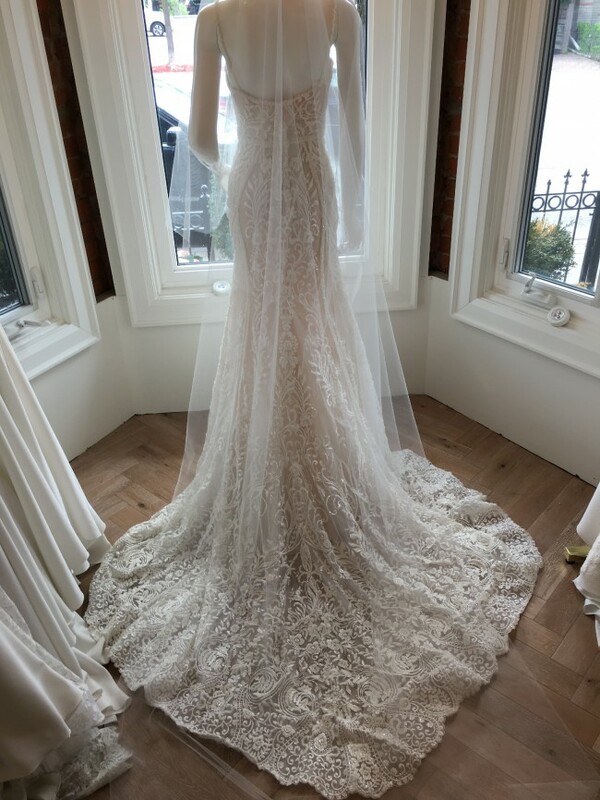 Dress was made custom to fit bride, therefore label size is not exact. Measurements taken of bride at time of ordering: Bust: 35" Waist: 30" Hip: 41" Nape: 15" Height: Approx 60" from shoulder to hem. Once you send a message, Lianna can invite you to purchase the dress.